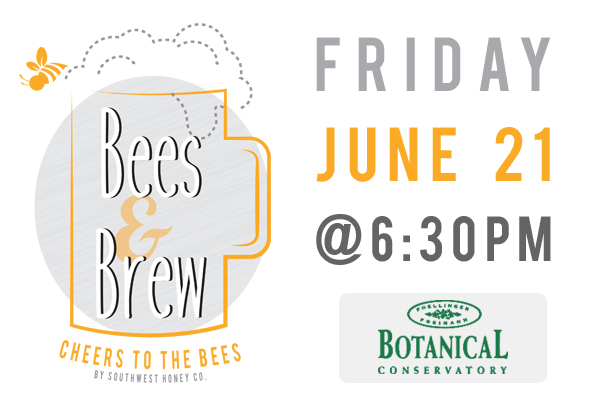 Fri. June 21 Bees & Brew (21+) – Southwest Honey Co.
Join us for the Fort Wayne celebration of National Pollinator Week, Bees & Brew at the Botanical Conservatory. This social event is perfect for date night with your bee-loved one, or to just have unique experience with a group of friends. We have something for everyone; the creative, the adventurous and the curious. 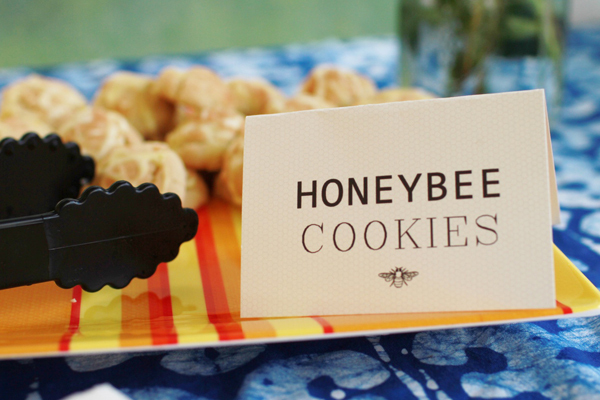 Featuring a choice of honey wine or honey beer and a sampling of local honey based hors d’oeuvres with an entertaining presentation about the fascinating world of honey bees, how they help us and how we can help them (and other pollinators). 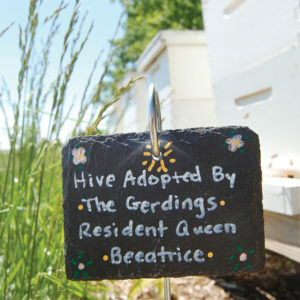 Guests also have the opportunity to take a unique guided tour of the Botanical Conservatory’s gardens, sample raw honey, make DIY beeswax candles (to take home), Q&A with beekeepers, Meet & Greet local artists who volunteered to creatively paint a beehives in support of the cause. 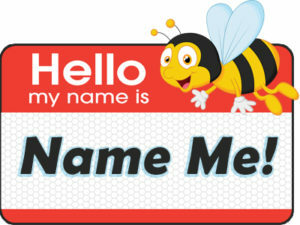 ; and for the adventurous, suit up for a personalized beekeeping experience with live beehives. 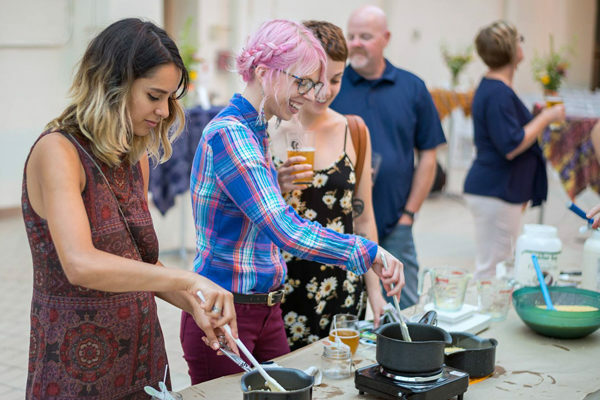 Ticket for the evening includes your DIY beeswax candle, Southwest Honey Co. Beer or Wine Glass, 2 drinks (honey wine or beer), honey-based hors d’oeuvres, samples of raw local honey, a tour of the apiary, a tour of the Conservatory gardens, a fun presentation all about bees and more. Hurry, Only 50 Tickets Left For This Event! Held on the grounds of Foellinger-Freimann Botanical Conservatory, 1100 S Calhoun St, Fort Wayne, IN 46802. > Map Directions Surrounded by the beautiful gardens, Bees & Brew is held inside and outside the Conservatory, which creates the perfect environment for you to be immersed with the natural surroundings while having a relaxing evening all without traveling too far from home. Fun, Relaxing & Unique Hands-on Activities! 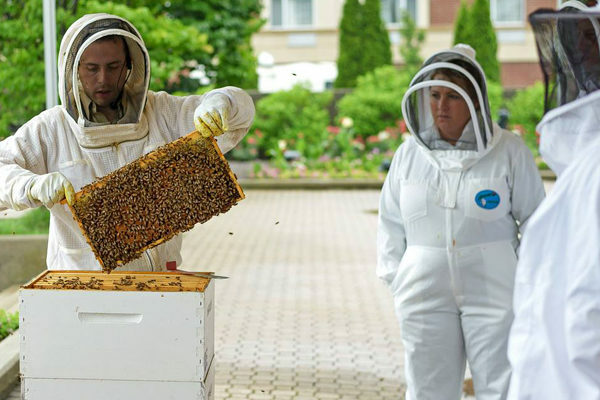 Suit up for a personalized beekeeping experience with live beehives. Go on a unique tour of the Botanical Conservatory’s gardens. Q & A with beekeepers. Meet & Greet four local artists who volunteered their creative talents to each paint a beehive in support of the cause. 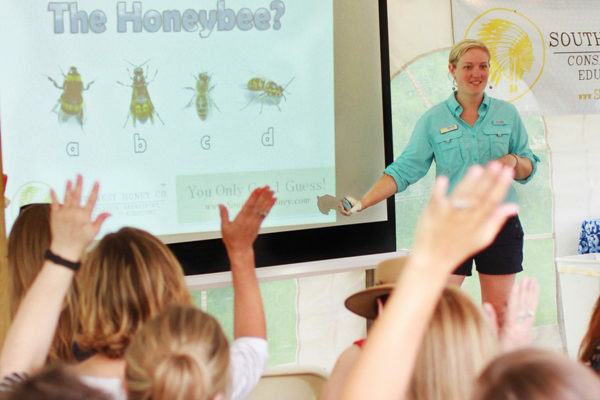 Learn about the honey bee through our fun & interactive presentation! Learn more about how you can help bees and other pollinators! The honey beer is brewed locally by The Hoppy Gnome, using Southwest Honey Co. honey in a unique recipe only available at this event. Bees & Brew has been designed by our on-staff educator Megan Ryan, who has her Master’s Degree in Education and a passion for pollinators. This evening comes complete with experienced educators and knowledgeable volunteers which allows each guest to have an intimate, fun and enjoyable evening. 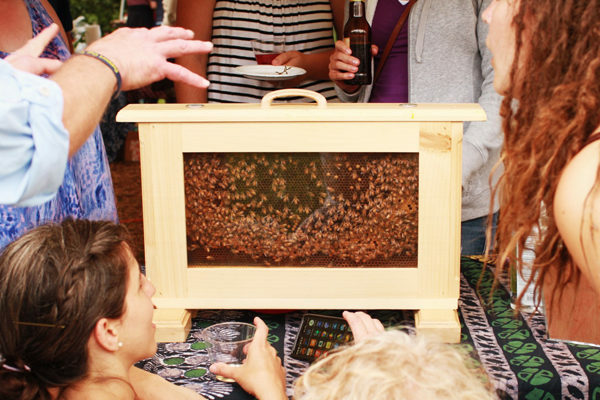 The overall mission of the ‘Bees & Brew’ evening is to open the minds of adults in the community with a fun and interactive experience that connects them with the natural environment all while relaxing with friends and enjoying a honey-based adult beverage. Ideas we will explore include the intricacies of the beehive, the role of pollinators in our ecosystem, and the importance of conservation minded thinking and living, as well as the benefits of the byproducts of a beehive, such as beeswax. 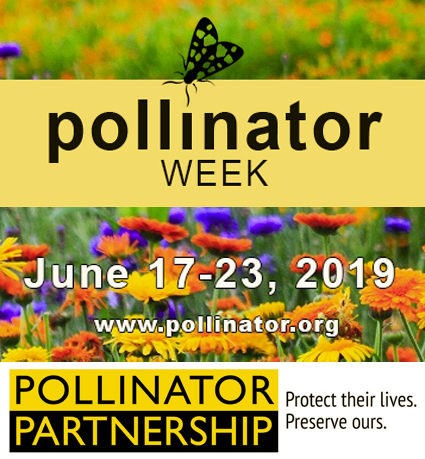 Proceeds go towards supporting our mission of creating sustainable habitats for pollinators, promoting awareness of their population decline and educating the public on ways they can help through pollinator education programs in the community. Since Southwest Honey Co. began their efforts just two years ago, we’ve personally touched the lives of over 3,000 children and adults through our unique educational programs, and currently care for 50 hives in sustainable areas including organic farms and naturally preserved properties around Fort Wayne. Our program and your experience has been brought to life with the assistance of SARE (Sustainable Agriculture Research & Education), Betterbee, Wheeler’s Bees (Ossian, IN), ACRES Land Trust, organic farms, and other local, regional and national organizations. We are members of the American Beekeeping Federation, Beekeepers of Indiana Association and Northeastern Indiana Beekeepers Association. Our partnership with all of these organizations includes sharing information and ideas for educating the public to help pollinators. Artists will be announced soon! Check back for more information. Can I Buy Local Honey? Yes, there will be honey bottles and honey sticks available for purchase, as well as other items such as candles, t-shirts, bumper stickers and more! Can I Buy Additional Alcohol? No, there will be a 2 drink limit for each guest. We ask that you arrive approximately 10 minutes before Bees & Brew begins. This will allow for check-in time and registration. There will be restroom facilities available. We will cross our fingers that this does not happen, but as we operate outdoors, inclement weather is a possibility. Before and throughout the duration of Bees & Brew, our educators will be monitoring the weather and other factors that may cause the event to be cancelled. In any such case, each registrant will be emailed and retain southwesthoney.com online credit or have fees returned. Can Someone Under The Age Of 21 Attend Bees And Brew? Sorry! This is a 21+ event only. Anyone under the age of 21 is unable to attend. Yes! Each participant must have a signed waiver in order to participate in our program. How Long Will Bees And Brew Last? We ask that you pay online at the time of registration. Unfortunately, we cannot accept walk-up registrations. Honey bees and other pollinators may be small, but they are mighty- we have a honey bee to thank for 1 out of every 3 bites of food we eat! We believe that education is the key! The more people who become aware of ways they can help pollinators, the better off our environment will be. Click Here for more information about our educational / organization philosophies and mission. Bees and Brew takes place at the beautiful Foellinger-Freimann Botanical Conservatory, 1100 S Calhoun St, Fort Wayne, IN 46802. (View Map). You will find a volunteer ready to assist you at the main entrance. Parking can be found nearby. All parking fees should be waived for this event. Bees & Brew will be held outside, as such there is an inherent risk associated with any outdoor activity. We will have a sealed & locked observation hive containing live bees as a part of our evening. The experience includes an optional tour of the apiaries and a chance to see into the hives. Although alcohol is paired with relaxation and our event, unruly guests, as a result of alcohol consumption, will be escorted from the property immediately. Bees and Brew is designed to be safe so our participants have a fantastic experience! If you have any concerns about safety, please feel free to contact our lead educator and event coordinator, Megan Ryan (260) 609-2897.